The products designed by BESE are made from waste streams, like potato mesh which is a leftover product from the chips industry. The waste streams are recycled into products that restore entire ecosystems. To learn more about the use of our products in different types of projects you can look into the case studies on our website. It will give you an idea on how we apply our products and for which ecosystems they are suited. Worldwide, coastal zones are increasingly at risk from flood disasters due to climate-induced sea-level rise and increased storm intensity. 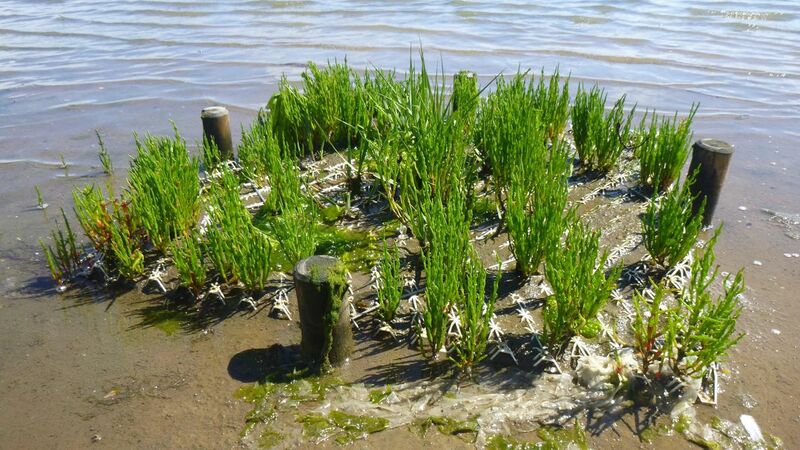 Growing recognition of the importance of nature­ based flood defense for coastal protection has created a need to restore degraded coastal wetlands. BESE-products provides the means to restore these ecosystems in a sustainable manner. Nowadays most restoration projects use plastics or concrete as a kick-start agent. Unfortunately both products remain in the system and “pollute” the environment after restoration. BESE designs and sells products that are 100% biodegradable. By providing a temporary kick-start agent, that restores an ecosystem and degrades over time, only a natural system will be left behind. We are testing our products in collaboration with Universities and research facilities. On our website you will find publications and news articles about our trials.